This weekend, I had the pleasure of one of my sisters coming to visit! I was super excited to see Sperry Queen (if you know her, you know this is completely appropriate! She owns 17 pairs of Sperry Top-Siders!!). 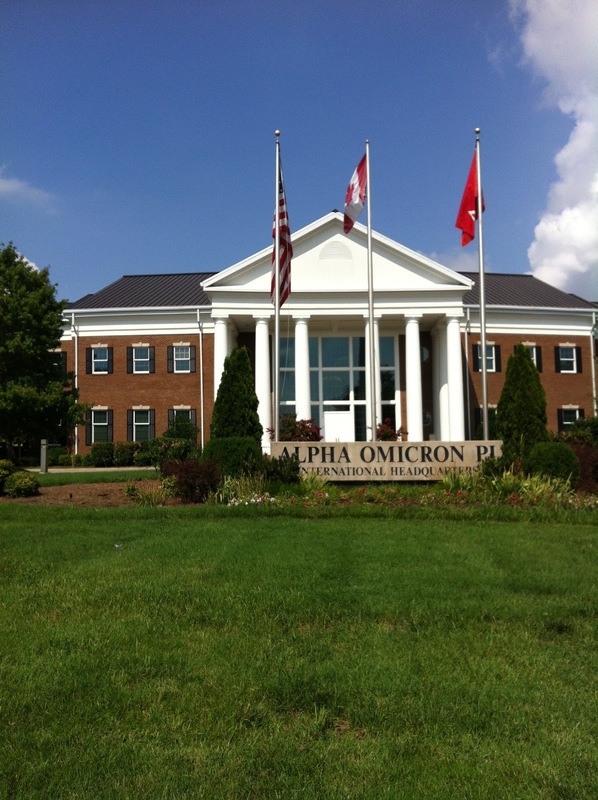 She got in on Friday afternoon & the first thing we did was head down to AOII HQ! She got a tour by yours truly & then we snapped some pics outside. After a Starbucks stop, we headed over to the Shops at Green Hills for some shopping! We started at the Vineyard Vines Whale of Sale (50% off!) and then headed over to Bink’s Outfitters for some Lilly shopping. Bink’s had just marked down lots and lots of patterns, there were dresses for 65% off! Then we headed over to the Green Hills mall & checked out J. Crew (suprisingly enough, no purchases here! 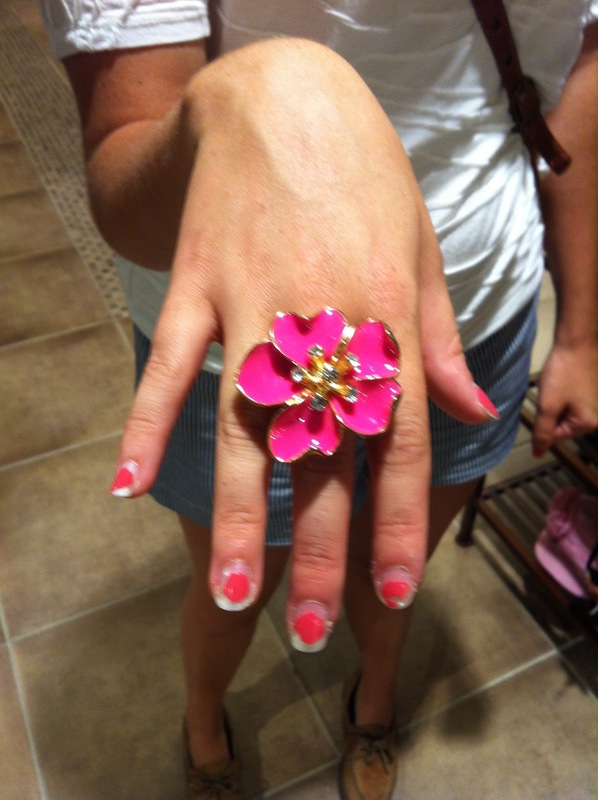 ), Sephora (where I rocked a new nail trend) & Charming Charlie’s. 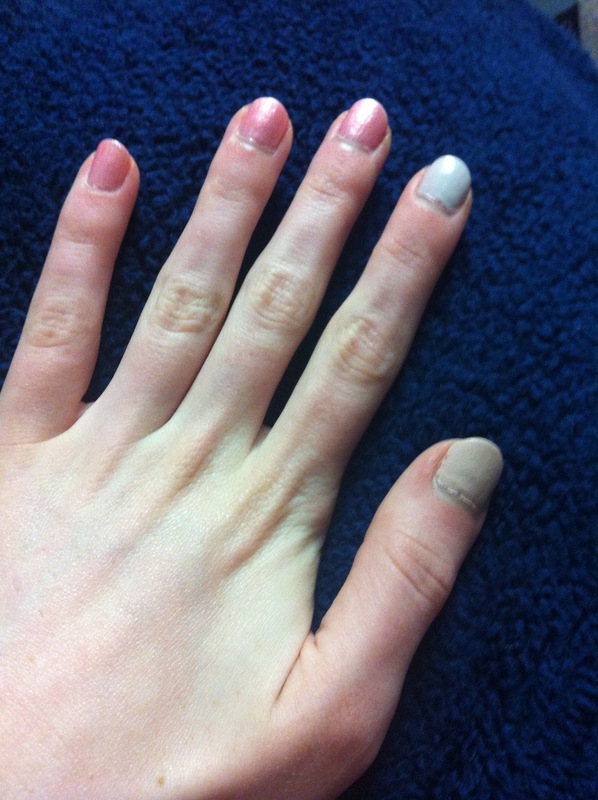 I started a new nail trend! I was trying out nail polish colors at Sephora trying to find a good neutral color & walked around all weekend with three different colors on my nails. I ended up with the color on my thumb Julep in Jennifer. We ended Friday night with dinner at the California Pizza Kitchen! Yum! Saturday morning we started with breakfast at none other than the Pancake Pantry! I blogged about this in my first Tennessee post, and I knew I just had to take SQ there. We got in line around 9:30 and waiting about an hour, but it was completely worth it! I think the pancakes I had this time were even better, if that’s even possible! I ordered the Swedish pancakes & SQ ordered the Sugar & Spice ones. The Sugar and Spice pancakes tasted like Christmas. I actually said that they tasted like joy when I tried them! After our delicious breakfast we walked around Hillsboro village and then down to Belle Meade Plantation. 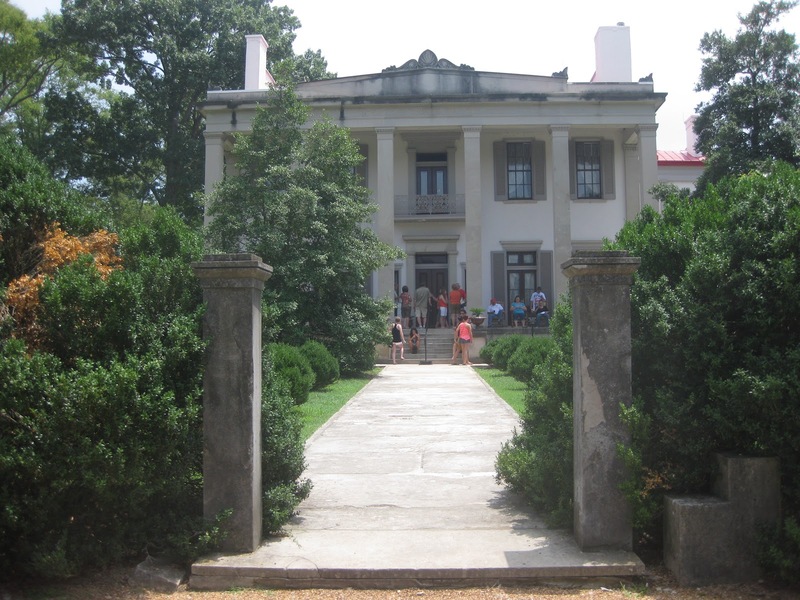 Belle Meade is gorgeous! We then drove down Broadway and then headed to Opry Mills to see the Grand Ole Opry & more shopping! We ended up doing at least a lap and a half around the mall. For anyone who claims that shopping cannot be a workout, you have never shopped with SQ & I! We were utterly exhausted at the end of the day. 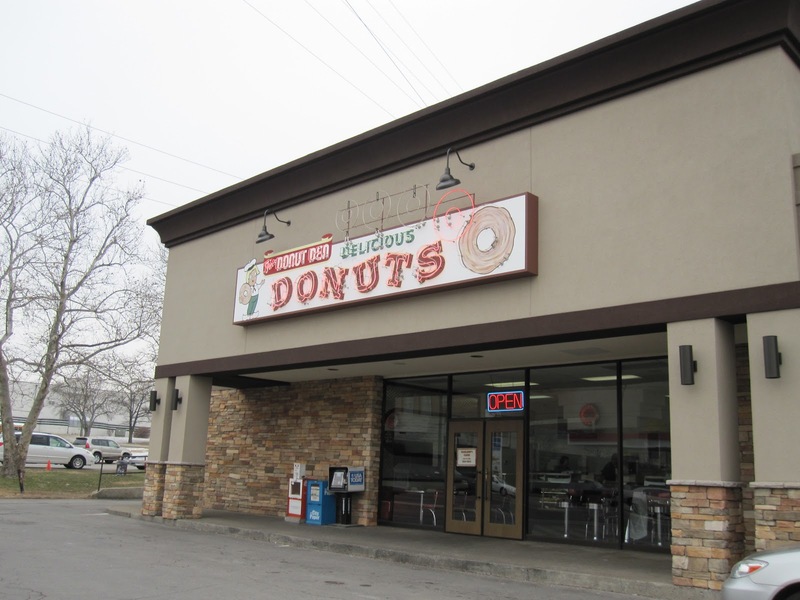 This morning (Sunday) we got up and had doughnuts from Fox’s Doughnut Den for breakfast. I was so glad I got to spend the weekend with SQ & was sad to see her go! But I got one thing crossed off my Nashville bucket list & I will be headed back to the mitten in about a week and a half! I can’t believe that my time here is almost over. It has just flown by!